A healthcare-acquired infection (HAI) is an infection that is contracted while you are in a healthcare facility, such as an acute care hospital or a skilled nursing care facility. Even a doctor’s office or clinic can be a source for an HAI. The medical community calls HAIs nosocomial infections. Infections that develop outside a healthcare facility are called community-acquired infections. As with any type of infection, HAIs can trigger sepsis, particularly in people who are already at risk, such as those with chronic illnesses (like diabetes), who are immunocompromised (such as those taking chemotherapy or who don’t have a spleen), the very young, and the very old. 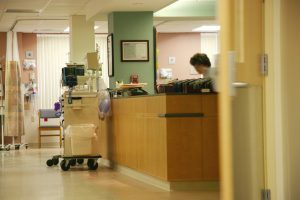 Concentrated exposure to germs: If you are in healthcare facility, you’re in an environment with other sick people who may have infections that could be spread. You’re also usually exposed to more people while you’re in a healthcare facility than you might normally be (workers, volunteers, and visitors, for example), and these people could unknowingly transfer germs from patient to patient. 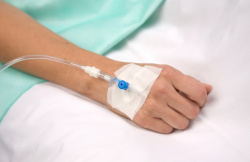 – Central lines (also called central venous catheters) – People who are seriously ill may be given a central line, a special type of intravenous (IV) catheter, so the nurses can effectively provide antibiotics or other medications and fluids. Usually, central lines are used in specialized units, such as the intensive care unit (ICU). The central line is inserted into a large vein inyour groin, chest or neck. Because these special IVs are in a large vein, they can stay in place for several weeks or longer, eliminating the need to keep restarting IVs in the more delicate veins in the arm. However, a drawback is that these larger veins give more direct access to the heart, and infections can become very serious very fast. An infection from a central line is called a central line-associated bloodstream infections, or CLABSI. What types of infections are HAIs? Methicillin-resistant Staphylococcus aureus, commonly referred to as MRSA. Treating HAIs is the same as treating any other type of infection, with the appropriate antibiotics. But treatment can be more difficult because of pre-existing conditions and because some of the bacteria causing these infections are becoming antibiotic resistant. All people who enter a patient’s room or touch a patient must wash their hands before and after, even if they wear gloves. Patient rooms, as well as common rooms and facilities must be properly cleaned on a regular basis. Medical equipment must be properly washed and sterilized (when appropriate). Invasive procedures should be limited as much as possible and for as short a period of time as possible. 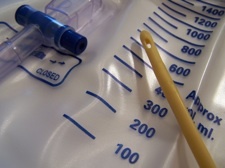 Healthcare providers must correctly observe sterile processes when performing procedures, such as changing wound dressings and inserting urinary catheters. Patients should have well-ventilated private rooms as often as possible. Patients should be monitored closely for any signs of infection. Ensure that everyone who comes into your room, either to provide care or just to visit, washes their hands. Wash your own hands frequently and thoroughly. Report any signs or symptoms of an infection, such as increasing redness around a wound, unexpected drainage from a wound, cloudy or foul-smelling urine, fever, chills. Whenever you to take an antibiotic, take it only as prescribed and for the full duration of the prescription, even if you feel like your infection has gone away. Don’t use someone else’s antibiotic to treat what you think might be an infection.